One of our favorite things about the holidays—aside from gathering together with friends and family, eating a ton of delicious food and getting time off from work—is decorating our home to reflect the spirit of the season. 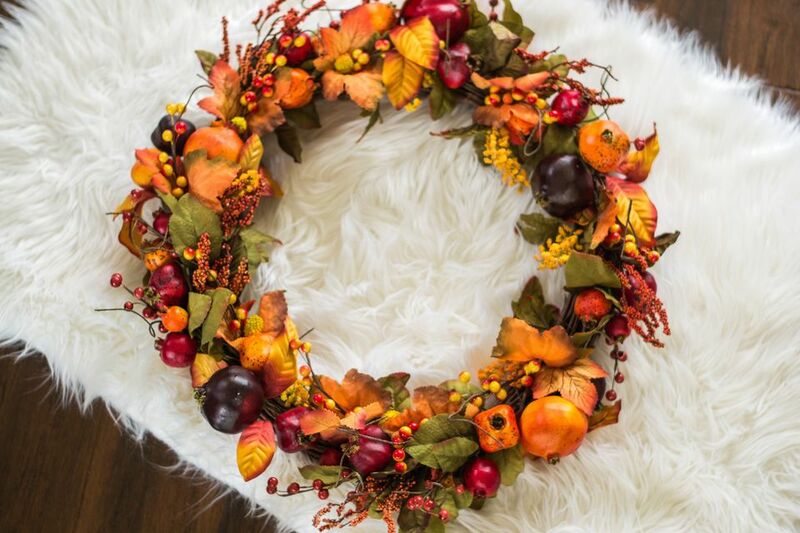 From wreathes for your door to autumnal throw pillows and blankets, we found 13 Thanksgiving decor items that will help set the mood and make all your guests comfortable when you gather to celebrate all you're grateful for this year. There's something so quintessentially "holiday" about berries, even if their faux. So when decorating with real cranberries isn't an option, look for small, affordable faux options like this candle ring. Big family gatherings can be stressful, let's be honest. Once you gather the generations around the table, release a little tension and start dinner with a "bang" with these crackers. Each one contains a paper crown (to wear during dinner and perfect for fun Instagrams!) and a small toy. Welcome Thanksgiving guests to your home with a festive wreath. We love that this Magnolia wreath from West Elm because it's seasonal and festive but not outwardly thematic. The pinecones and gentle fall colors are perfect for Thanksgiving but will last throughout the winter. Perhaps out-and-out holiday decorations aren't really your thing—and that's okay. Bring in the warmth and color of the season with a few tasteful throw pillows. We love the affordable price and rich tones of this velvet cushion from Threshold. Mix them in with your usual decor for a nod to Thanksgiving colors without a decorative turkey in sight. Go all-in on your Thanksgiving decor... From the outside. Set your holidays off on the right foot (sorry, we couldn't help it!) with this tasteful doormat from Crate & Barrel. While perhaps more traditionally associated with Christmas, there are a lot of autumnal and Thanksgiving-appropriate garlands you can incorporate into your tablescape or hearth decor. 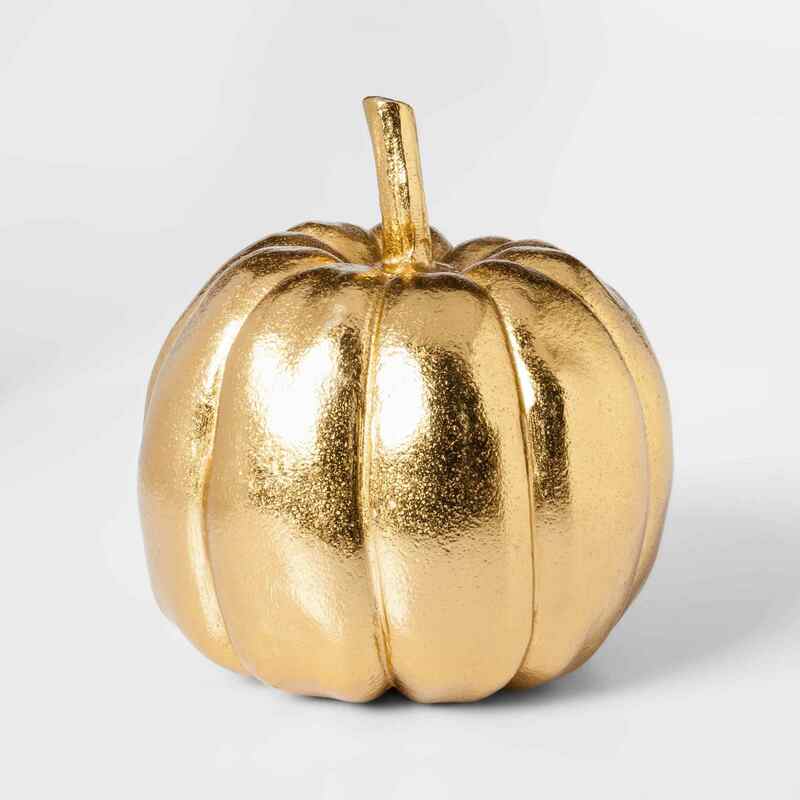 Crate & Barrel has one of our favorites—oak leaves in muted shades of golden yellow and orange—that will go perfectly with metallic and glass elements. ​Hosting your extended family (or friends) can put a strain on your usual seating arrangements. For a temporary fix that will look stylish (and store easily when you're not using them) try a few Moroccan poufs. Perhaps you already have a throw blanket or two—we get that. But picture the post-pie food coma you'll be facing on Thanksgiving. Gathering in the living room and snuggling up with a glass of red wine under a cozy faux fur will be just what you need to put the cherry on top of a delicious holiday. It's no secret that Anthropologie is one of the best resources for tasteful scented candles without blatant branding or labels. These Mercury Moonglow candles come in a variety of sizes and prices, and with elements of cedar, make for a perfect Thanksgiving mood-setting scent before the kitchen takes over. There's something so elegant and formal about place card holders—even ones that are shaped like fancy turkeys. We found this fun and funky duo from One Kings Lane, but there are tons of playful and elegant options around the internet. Giving each guest at your table a specific seat will eliminate some of your planning anxiety and make everyone feel just a little bit special.